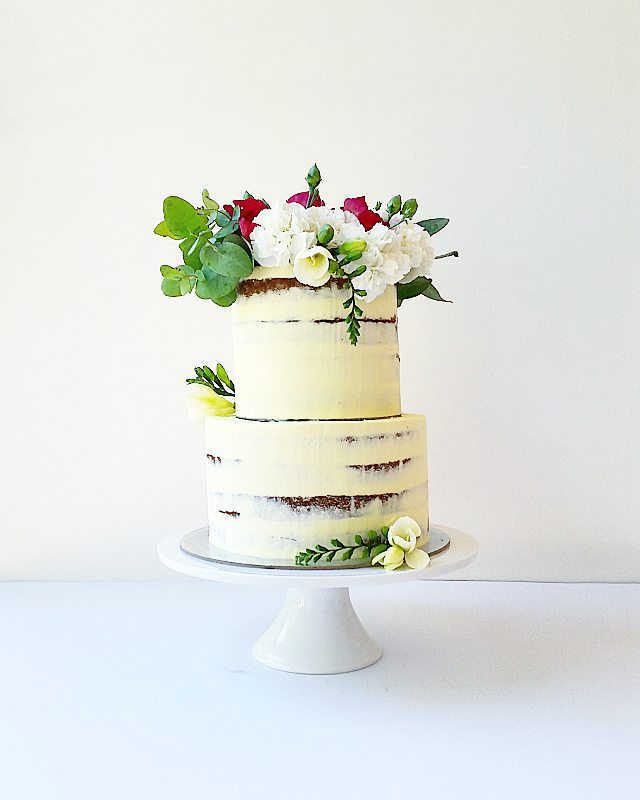 These cakes are decorated simply with either a swiss meringue buttercream or chocolate ganache. 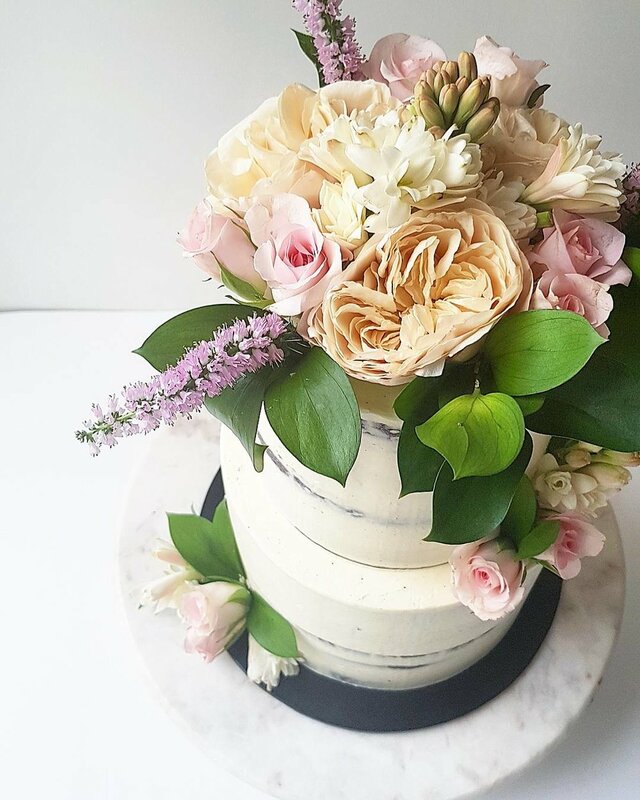 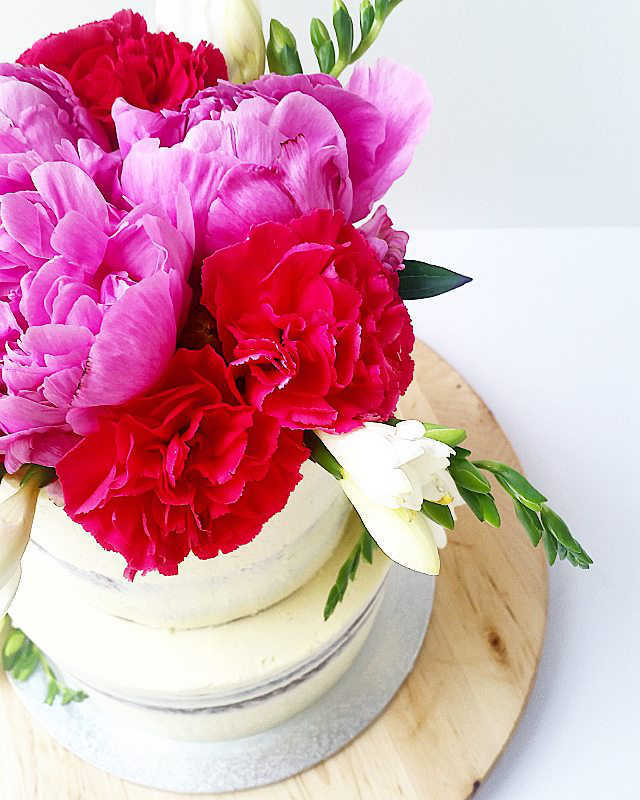 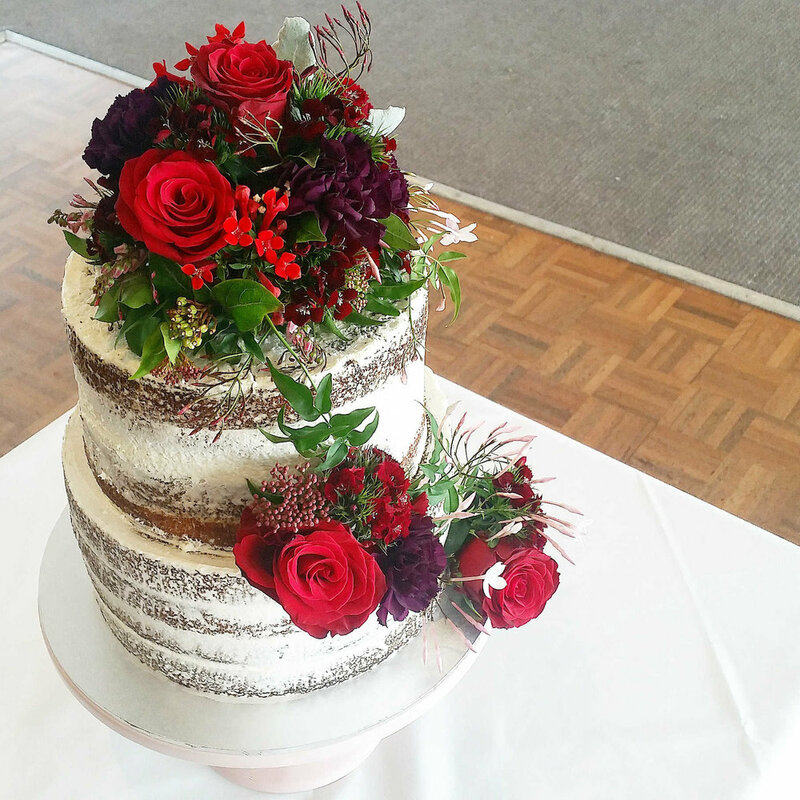 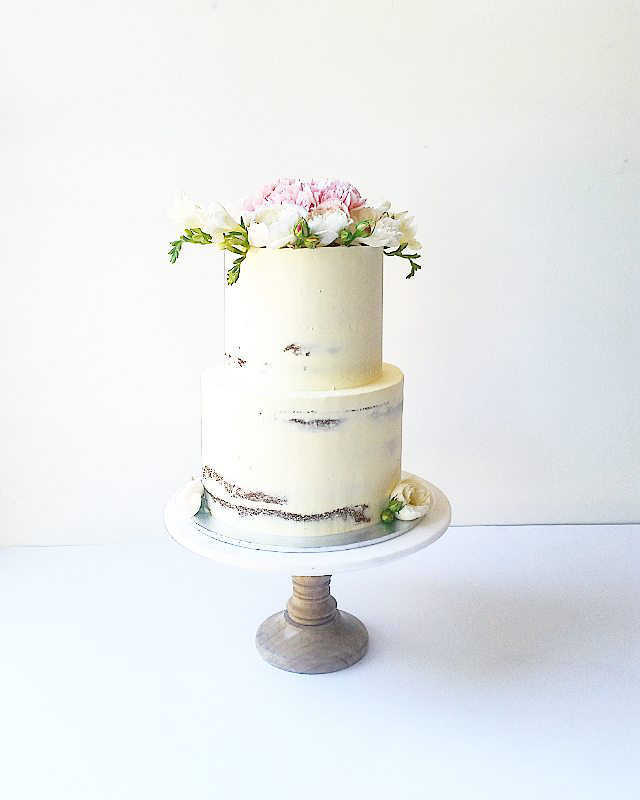 Flowers can be arranged for you at additional cost, however for wedding cakes I recommend requesting that your florist arrange flowers to match with your chosen design. 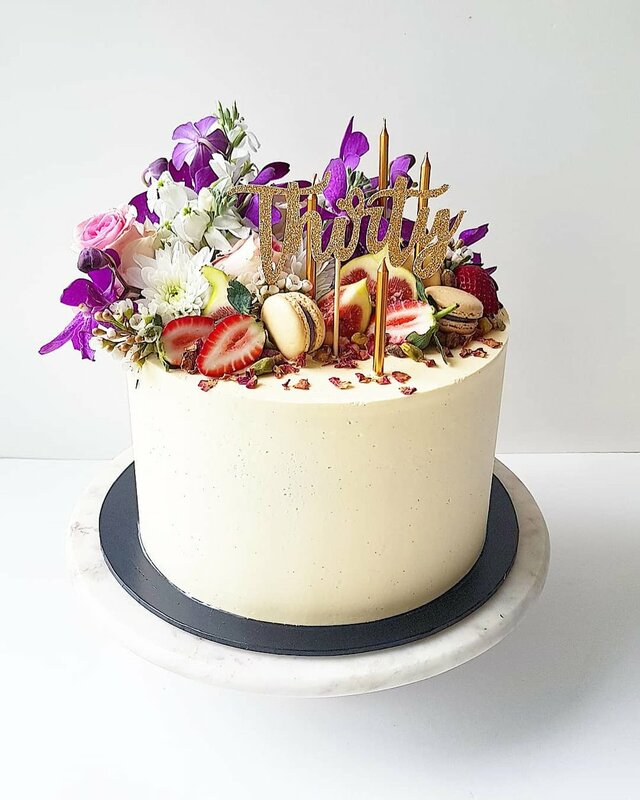 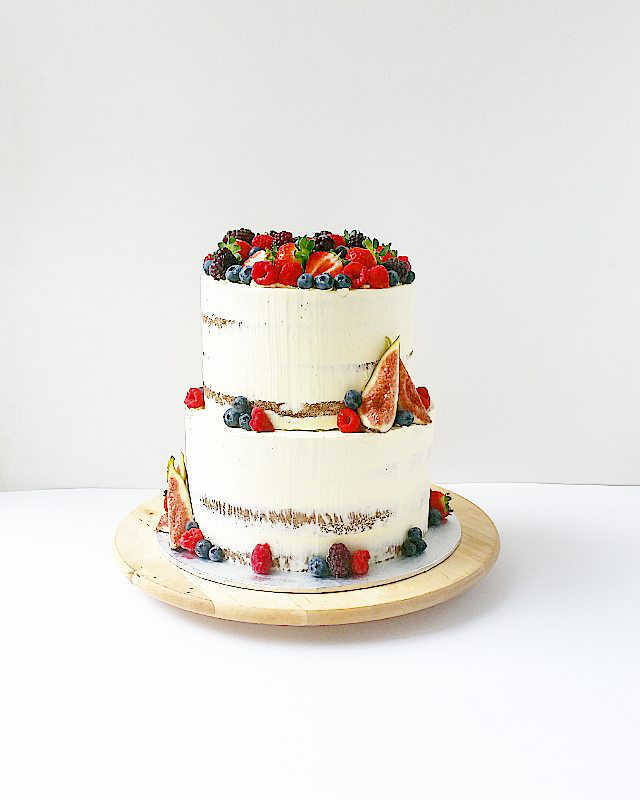 An additional charge is applied if you would like your cake to be covered in berries (this will depend on size, your chosen berries and season).